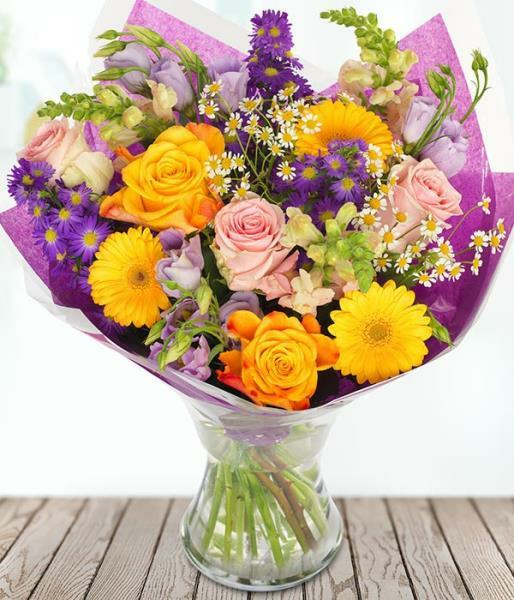 This pink and purple flower bouquet will sing a sweet melody to your loved ones. Gorgeous and elegant, you know you will go far with this flower gift if you decide to send our Melody bouquet for a special occasion. Vase not included.